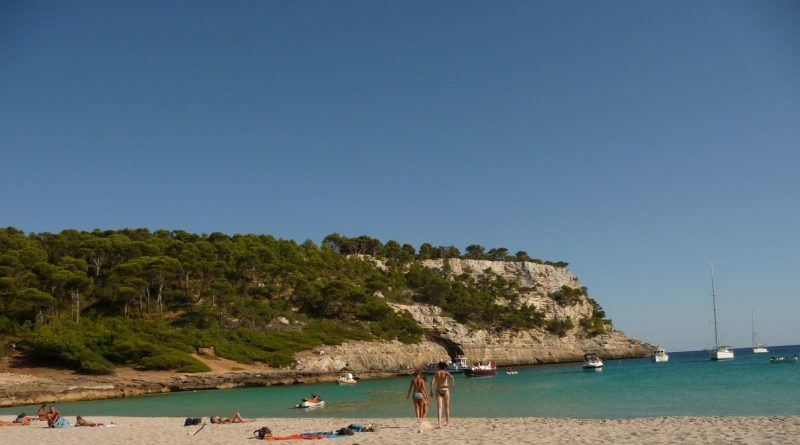 Cala trebalúger is an isolated beach with difficult access by walking or by any other transport. 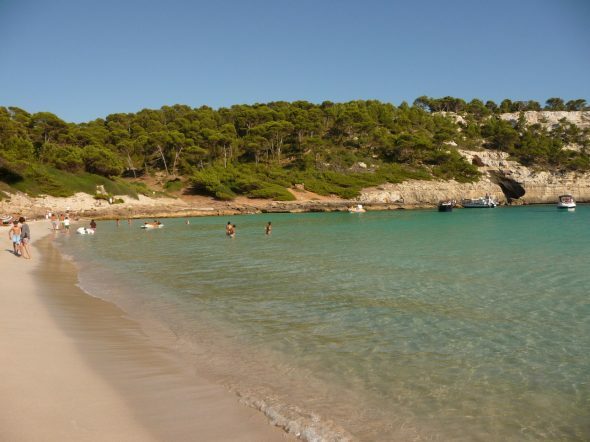 Is one of the best beaches of the south, a sandy beach with crystalline waters. One of its main characteristic is that it has a river that flows into the sea. In Cala Trebalúger it’s easy to find a spot where to put the towell, even during the most crowded seasons. 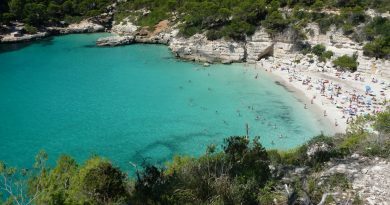 This is because of the difficult access to the beach; there is a long excursion that you have to make to arrive to the beach (compared with other beaches as Macarella, for example, where you can arrive without problems in a short time). Arriving to Cala Trebalúger by land is not easy at all. The best way to make it is by walking. You can get there from Cala Mitjana or from Binigaus, although it’s better from Mitjana. 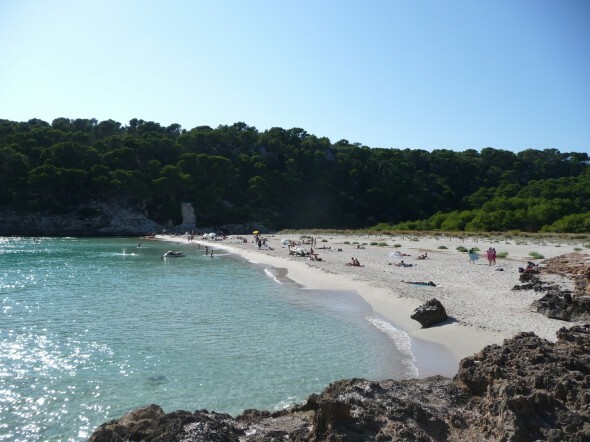 You need to park the car in the parking of Cala Mitjana, and walk along the ocean front following the indications towards Trebalúger. Along the path, you can enjoy the beautiful views of the Cala Mitjana bay. 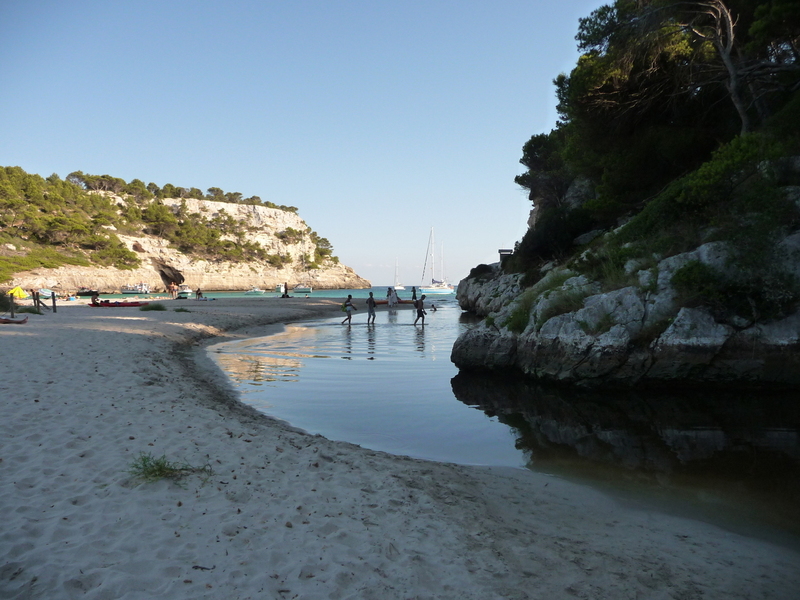 Once you get to Trebalúger, you have to cross the river (two meters wide only) and you will be in the sand of Cala Trebalúger. Once you get to Trebalúger, there’s not much to do as it’s an isolated virgin beach. 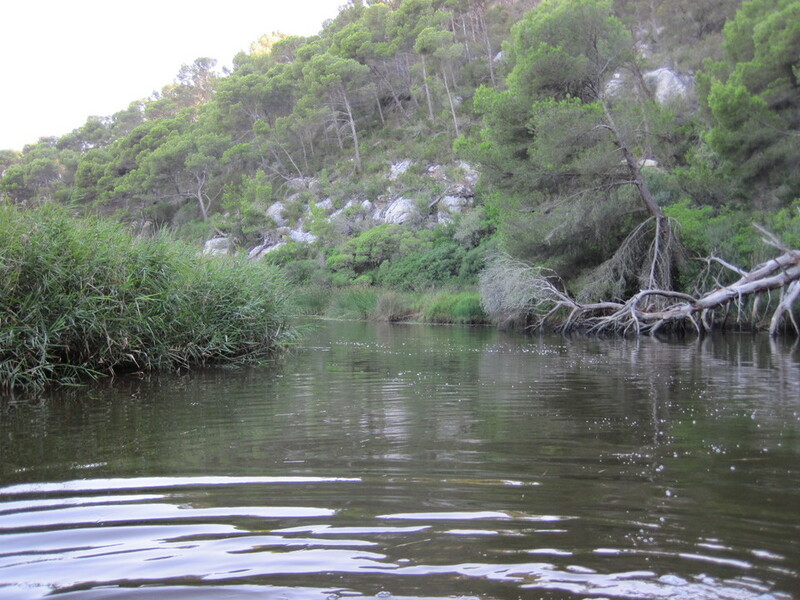 Besides sunbathing and relax inside the water, it’s possible to follow the course of the river with kayak. At the mouth of the river there’s a cave where there’s often people living during summer, and sometimes they have a wooden boat that they will lend you without problems to explore the area. 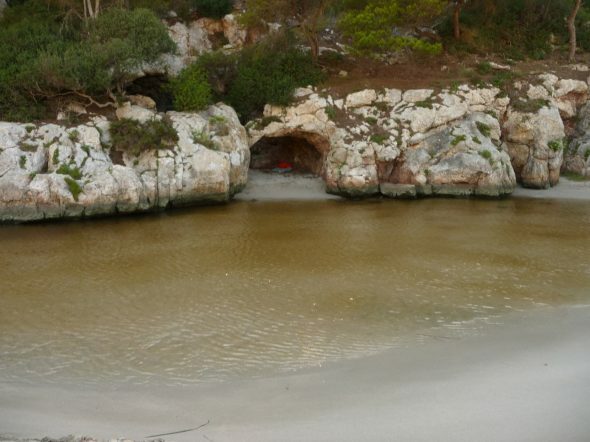 Unfortunately for the nature lovers, Cala Trebalúger has a huge problem. The river that ends in this beach contains industrial polluting substances. Specifically, there’s a high presence of Mercury, Arsenic and Zinc, among other substances. In February of 2012, they are trying to reach an agreement in order to end with the pollution in this natural environment. For the common good of all, we hope they solve this problem as soon as possible. Cala Mitjana is one of the magnificent beaches of the south of Menorca. 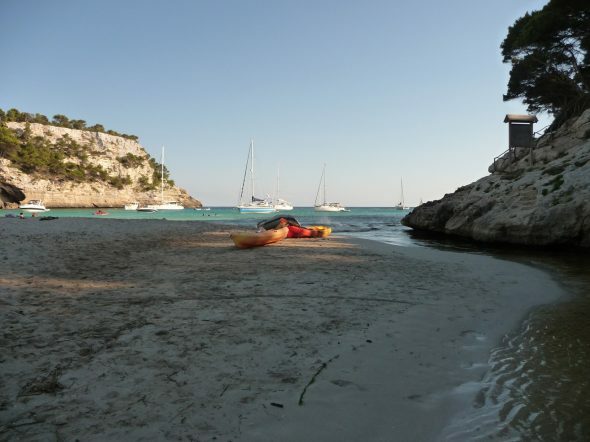 Located very close to Cala Galdana, Mitjana gives us access to many of the less frequented beaches of the south like Cala Trebaluger, Fustam Cala or Cala Escorxada.